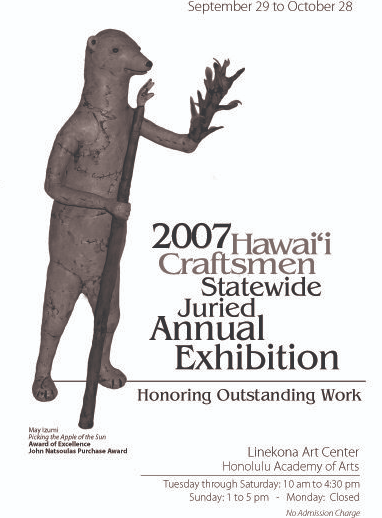 The Annual Statewide Juried Exhibition of traditional and contemporary crafts brings a juror of national or international reputation to the state to jury entries on Oahu, Maui, Kauai, Hilo, and Kona. 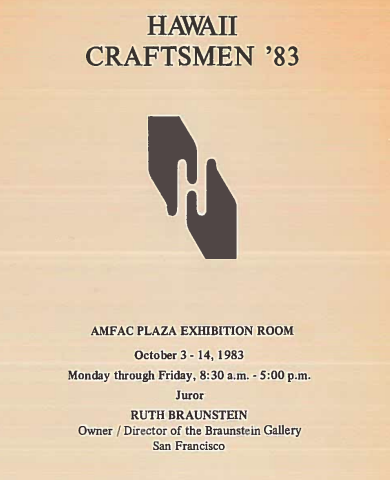 The juror also presents a slide lecture at each site on his/her view and interpretations of either his work or the contemporary craft scene. 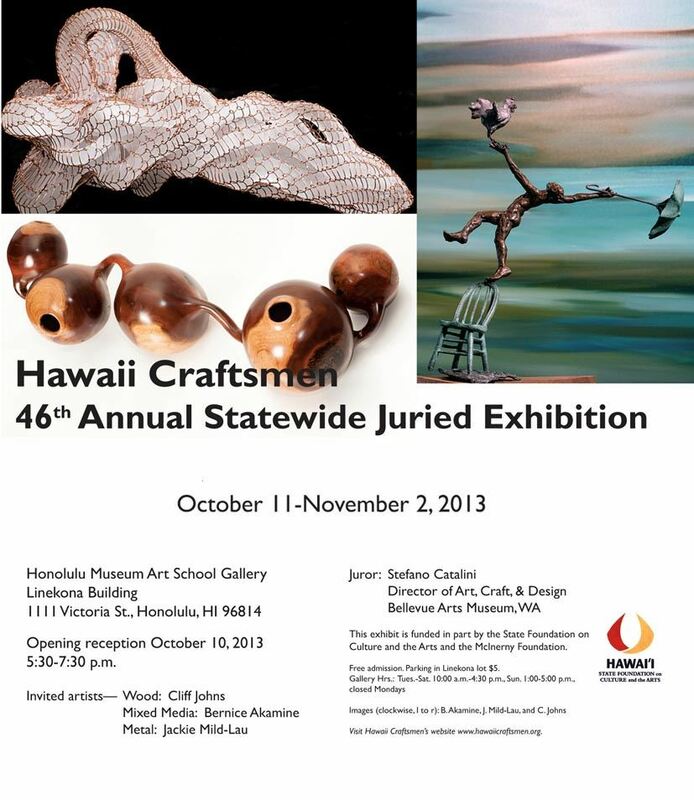 Exhibiting artists and members of Hawai'i Craftsmen act as docents during the exhibit, which lasts for 3 weeks.